Welcome, Wildlings! It's time for the Big Reveal! If you haven't done so, please go to the Wildly, Witch Facebook page, and choose your card. For those who have already done so, let's get to it! 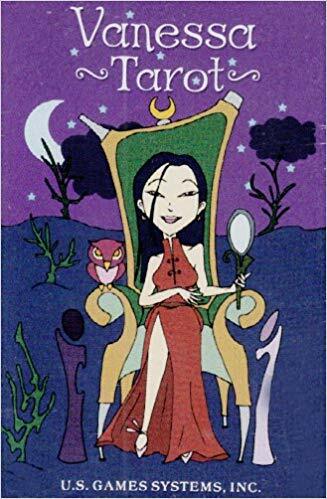 This week's Tarot Deck is The Vanessa Tarot by Lynyrd Narciso, which is one of my favorite decks! The Fool is a very powerful card in the Tarot deck, usually representing a new beginning; and, consequently, an end to something in your old life. The Fool's position in your spread, reveals which aspects of your life may be subject to change. The Fool portends important decisions ahead which may not be easy to make, and involve an element of risk for you. Approach the changes with optimism and care to gain the most beneficial outcome. 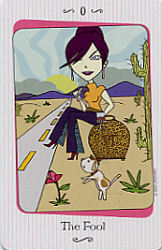 The first card of the Major Arcana, The Fool is generally a positive card indicating new beginnings. It could mean that you are on the verge of an exciting, unexpected new adventure. This adventure will bring you along a path which may require you to make a leap of faith; but, you will grow as a result of this new experience. This could be a literal new adventure, like travelling to a place you’ve never been before. The change this card can bring will usually be a welcome one. While the Fool is generally a beneficial card, its appearance in a reading can also indicate that you need to take the time to look before you leap. 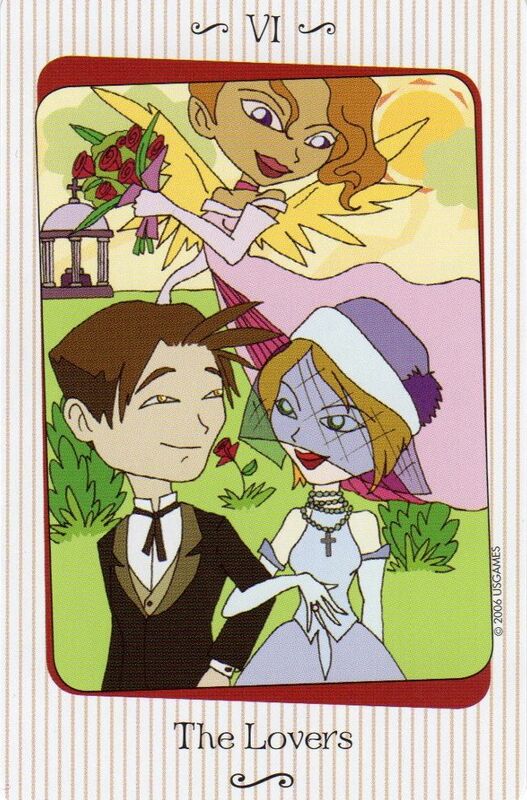 The Lovers card signifies perfect union, harmony, love, and attraction. The Lovers can represent finding the balance within oneself. You are learning to understand yourself, your own personal moral code, and what you value; this will bring harmony and balance to your life. In general, when The Lovers Tarot card appears, it is an indication that you have major choices to make, or are faced with a dilemma. You may be feeling uncertain about situations, people in your life, or what direction you should take. These are important decisions. Don’t automatically go for the easy road, make sure you have all the information, and make the best decision for you. Even if it seems like a difficult path, it will lead you on to greater things. An exciting card in any Tarot Reading, is the Three of Wands. It reflects that you have invested a lot of optimism into some venture or relationship. You may need to throw some more cards before you can drill down to the answer. In general, the Three of Wands represents freedom, adventure, travel, moving abroad, and foreign lands. It can indicate hard work paying off, success and being happy with your choices, or the outcome of your situation. 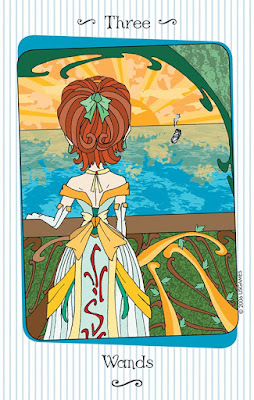 This card also signifies foresight, forward planning, moving forward, growth. and expansion. It is a Minor Arcana card of self-confidence, self-belief, spreading your wings. and experiencing life. It tells you that fortune favors the brave. It can also represent holiday romances, and long distance relationships. In general, the Ten of Pentacles represents solid foundations, security, and happiness in all areas of your life. Like all Pentacle cards, it is usually connected to financial or material issues; so you can expect especially good things in those areas of your life. It is also portends beneficial relationships to family; as it represents family responsibilities, family values, and support. You could find yourself tracing your ancestry, or discovering your family tree. 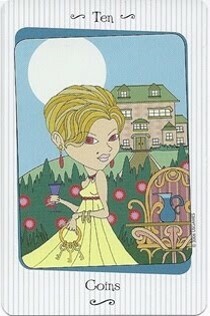 You may be feeling very close to your family at this time, as the Ten of Pentacles can signify domestic harmony. Or, you may be looking forward to a family event, celebration, or gathering. 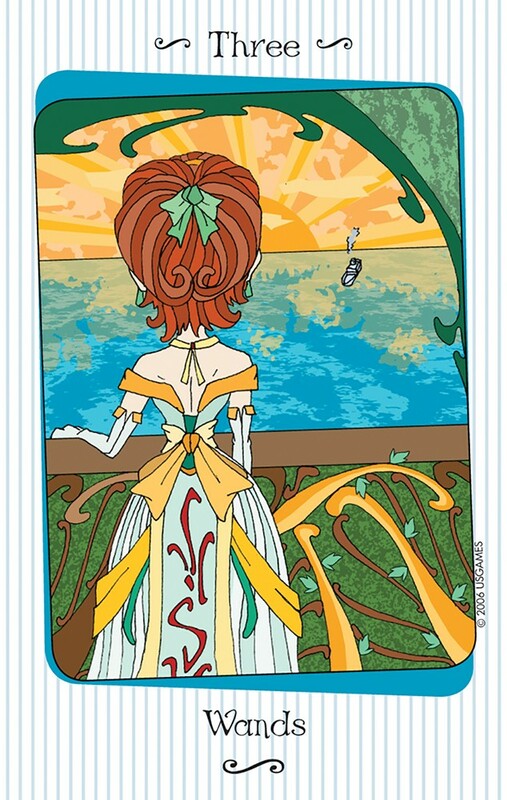 This Minor Arcana card can represent being conventional, and embracing old school traditions. Life should be stable and settled, when it appears in your Tarot reading. The Ten of Pentacles can also represent an unexpected windfall of good fortune. An inheritance, or even a lottery winning, may be represented here. It could be now, or in the near future. It could also mean a boon in your business, if you run one. Key words: Unexpected financial windfall, lump sum, will, deeds, trust funds, inheritance, solid foundations, privilege, inherited issues, ancestry, family home/ business/ responsibilities/ values/ support/ issues/ riches, old money, affluence, business empire, domestic bliss, contracts, pensions, long term financial security/ stability, being conventional/traditional, settling down, prenuptials, marriage, marrying into money. How did you do? Are you finding this exercise helpful in honing your intuition? Come back to the Facebook page and share your thoughts with us! Let me know if there is anything else I can do to support you!